Clearly the scene is almost set for action against Syria that believe it or not was planned almost 20 years ago and has nothing to do with the current situation and clearly shows that the UK, US, France and Germany are hell bent into forcing yet another Libya style regime change all in the name of misinformation and whom are clearly arming, funding and assisting the rebel army in Syria. Did you read about the mass arrest of German arms smugglers in the western media which was published elsewhere and said that over 40 German citizens had been arrested while attempting to smuggle arms and ammunitions from international waters on shore inside Syria. The arrest took place over two weeks ago. 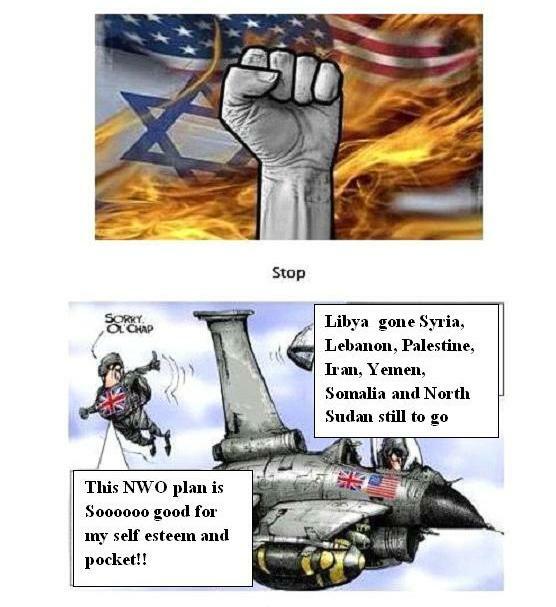 I continue to ask when is this world going to wake up and see this stand-off for what it really is……..a master plan by the New World Order to take out many Islamic Countries that are not user friendly towards the west or countries that do not have the western fraudulent banking system in situ or who do not give lucrative oil and gas contracts to western countries……that is the true state of affairs!! The Turkish Government promised that it will be strong, decisive and legitimate, and that it will share all the information it has with the public. My thoughts on that are are they prepared to give the Latitude and Longitude of the actual point of engagement which obviously will clearly show that the aircraft concerned was deep inside Syrian Territorial Waters on a low high speed run. The principles of sovereignty and national airspace confirmed by the Chicago Convention, a foreign aircraft may lawfully enter another country’s airspace only with that State’s authorization. Any unauthorized incursion into national airspace by a foreign aircraft–or “aerial intrusion”–would thus violate customary sovereignty and the Chicago Convention. The affected State would then have the legal right to respond by intercepting the offending aircraft and turning it away; forcing it to land at a designated airfield; impounding the aircraft if it lands; or even shooting it down. Because of the potential security threat that trespassing military aircraft represent to the territorial sovereign, international legal standards for State responses to aerial intrusions treat civil and military aircraft differently, imposing a much lower threshold for the use of force without warning against military aircraft that intrude into the territory of another State. Mr. Hague said the “outrageous” act underlined the need for Bashar Assad’s regime to go. “I am gravely concerned by the Syrian regime’s action in shooting down a Turkish military plane on June 22,” Mr. Hague said in a statement. “When I spoke to Turkish Foreign Minister (Ahmet) Davutoglu on 23 June, he told me that the plane had been shot down without warning. “This outrageous act underlines how far beyond accepted behavior the Syrian regime has put itself and I condemn it wholeheartedly. “My thoughts and sympathies are with the families and friends of the missing Turkish pilots. I have made clear to Foreign Minister Davutoglu the UK’s strong support for the Turkish government at this difficult time……do your really believe that Hague has any regard for the family and friends of the downed crew……how very hypocritical and two faced!! Once again one can see that our own Foreign Minister is clearly not in tune with international law when it comes to airspace incursions and only seeks a regime change in Syria at whatever the cost……..note the comment that Assad must go!! “The Assad regime should not make the mistake of believing that it can act with impunity. It will be held to account for its behavior. The UK stands ready to pursue robust action at the United Nations Security Council. One can only hope that once again Russia and China will veto any possible action. However, we should be extremely cautious of possible action by NATO outside of the UN arena based on its policy that “An attack on one is an attack on all” and considering the NATO is the military arm of the New World Order one could see it taking matters into its own hands which it has done many times before. As I said before this is no Libya by comparison as the overall result could lead to a major conflict or even WW3 with Russia, China and Iran standing firmly shoulder to shoulder with Syria. One can clearly see that any provocation will be fully encouraged by the Zionist controlled New World Order who also happen to control the politics and finances of the west and most of their leaders who pledge their allegiance to Israel rather than to their own country!! The NATO meeting on Tuesday is likely to result in some very strong exchanges and could well push the UN into yet another urgent Security Council Meeting and with the UN Secretary General Ban Ki-moon being totally behind this scam one could possible see a “No fly Zone” with unlimited action coming into fruition. Turkish Deputy Prime Minister Bulent Arinc said on Saturday a jet that was shot down by Syria a day earlier was not a warplane but a reconnaissance aircraft……..I can assure him it was no executive jet and was clearly a Turkish jet fighter no matter what role it happened to be playing at the time!! You the British public must decide who is right and who is wrong but before making such a decision one must again look at the Chicago Convention and clearly see that what happened on Friday was well within International Law. « Cameron rips of British public whilst continuing his own massive fraud!! I’m an American of Italian decent. I use to believe what ever the government said through the media! The government will not lie because once caught in the lie integradie is forever lost. Since 9/11 attacks the government united with the corporate banks and it’s controlled media fabricated it’s official 9/11 story. Then the Bush WMD doctrine on Iraq was another lie again the propaganda push to go to war by the Banks corporate media division. It just keeps lieing to the public and the world abound. Now Syria defended itself from two aggressive fighter aircraft deep over it’s territorial waters, shooting down one fighter aircraft having every right to do so! The agressor is Turkey here violating Syria’s sovereignty! Turkey is now spinning the story that it is the victim, the fighter was unarmed and just incurred a brief second into Syria territorial waters but it was 15 min into international waters the fighter went down. This attempt to frabricate an entire different scenario is absolutely psychotic which is very scary which means NATO is a psychotic war machine! The Free World really doesn’t exist along with national sovereignty! If those who are involved are not put in straight jackets in a padded cell the world is heading into World War III and right now it looks like a runaway train!!! Syria is the red line not to be crossed ..so says Russia. The world owes you Russia to stand firm against these bankcrupt nations bent on making the world slaves to them. Syria goes, Iran goes. Iran goes Russia goes …and finally China goes. The other smaller countries … no fight. This is the final line….and fear not .. Neither Nato nor US has the resources to fight sustained wars against well prepared countries like Syria with support from Russia , Iran and China. I just dont think Western nations have the stomach for WWIII. They are just playing poker. This kind of reminds me of when Cuba shot down the planes of “Brothers to the Rescue” in 1996. While the government tried to make a stink of it, no one outside the Cuban community really cared. Also, a couple of years ago the Iranians captured that small British vessel operating in Iranian water. With the GPS available today, there is no way they didn’t know they were in Iranian waters. It was a test of Iranian response and they got caught. The US news tried to make it into a big deal but they could barely get a yawn out of the American public. Hi Peter . These NWO lunatics will have us all nuked while they hide in their bunkers. I think we need a miracle of sorts to stop them. They simply dont care anymore that we know their game. Please keep up the good work and thank you.